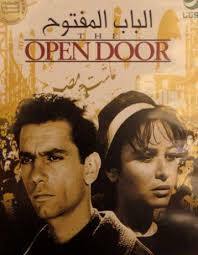 The Open Door is a love story with political undertones. It tells the story of Layla, who struggles with the modern versus traditional dichotomy. She is the “modern woman—“ she wants to marry for love, but her parents insist on marrying her off to her cousin and force their views of how a woman should act on her. She resists and finds power in participating in anti-British demonstrations. It was not originally well-received, which Barakat believed was the result of a patriarchal society not ready to embrace the idea of women’s liberation. Buskirk, Wesley D. (2015) “Egyptian Film and Feminism: Egypt’s View of Women Through Cinema,” Cinesthesia: Vol. 4: Iss. 2, Article 1.